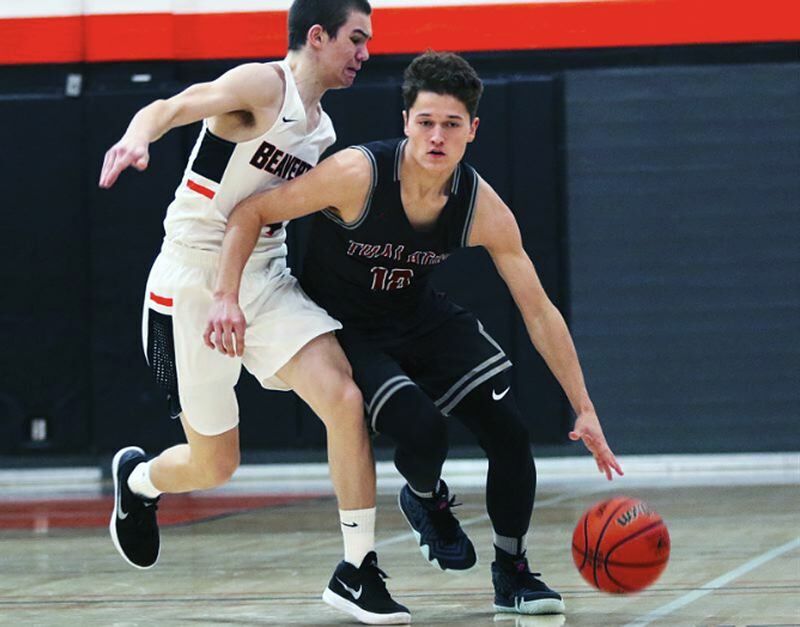 The 2018-19 high school basketball season continues in earnest tonight with hundreds of big games gracing Oregon's hardwood courts. • No. 8 Oregon City (1-1 in TRL play, 10-4 overall) at No. 21 Tualatin (0-2 in MHC play, 8-5 overall), 7 p.m.
• No. 9 Tigard (2-0 in TRL play, 9-5 overall) at No. 35 Lakeridge (0-3 in TRL play, 6-8 overall), 7 p.m.
• No. 17 Southridge (1-1 in Metro play, 8-6 overall) at No. 38 Mountainside (0-3 in Metro play, 5-10 overall), 7:15 p.m.
• No. 24 Gresham (2-2 in MHC play, 9-5 overall) at No. 29 Clackamas (2-2 in MHC play, 3-10 overall), 6 p.m.
• No. 15 Newport (1-2 in OWC play, 8-7 overall) at No. 4 Woodburn (2-1 in OWC play, 12-3 overall), 7 p.m.
• No. 17 Madras (1-0 in TVC play, 6-9 overall) at No. 11 North Marion (1-0 in TVC play, 7-8 overall), 7 p.m.
• No. 9 Astoria (1-0 in Cowapa play, 12-5 overall) at No. 2 Banks (1-0 in Cowapa play, 12-4 overall), 7:30 p.m.
• No. 12 Newport (2-1 OWC in play, 9-5 overall) at No. 33 Woodburn (1-2 in OWC play, 3-11 overall), 5:30 p.m.